Headaches are a very common condition and everybody is afflicted by a headache at least once in their lifetime. Mild headaches usually resolve on their own or after the intake of pain killers. Headaches occur due to various reasons but the consequences are the same: inability to lead one’s daily life in a normal manner. There are different types of headaches: tension, migraine, cluster, and sinus headaches. Usually, tension headaches are caused by stress, anxiety, or eye strain. 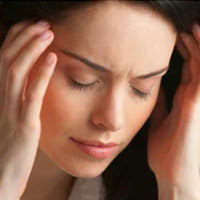 Migraine may be triggered by menstrual cycles, lack of sleep, strong smells, certain foods and beverages, and stress. Sinus headaches may occur after an episode of respiratory infection, whereas cluster headaches may be triggered by alcohol. The exact cause of cluster headache is not known. #1 Coffee, the Monday morning life-saving drink, can also relieve headaches. It has been used in herbal medicine for centuries. Coffee contains caffeine that is a vasoconstrictor, meaning that it reduces the size of blood vessels. Thus, it can relieve headaches caused by alcohol, which worsens a headache by expanding blood vessels. However, coffee should be drunk in moderation because it is also a diuretic. It can dehydrate the body and increase the severity of a headache if drunk in greater quantities. Hence, you can drink a cup of coffee to relieve headaches due to hangovers but you should not drink too many cups of coffee throughout the day. #2 Yoghurt may be the answer to a pounding headache. The brain requires calcium in order to function properly. Yoghurt is rich in calcium and has probiotics that are good for healthy digestion and smooth metabolism. Try to pick fat-free Greek yoghurt that does not have added sweeteners. #3 Sesame seeds contain high doses of vitamin E that helps fight headaches by regulating the levels of estrogen in the body and preventing migraines during menstrual periods. They improve blood circulation in the body, thus preventing headaches. They also contain magnesium that combats headaches effectively. Sesame seeds can be eaten along with oatmeal or salads, or sprinkled over soups and stir-fried dishes. #4 Spinach salad is another headache-fighting superfood. It helps prevent hangovers, decrease blood pressure, and relieve headaches. Instead of lettuce, spinach leaves can be used while making a salad. A good recipe for a spinach salad: Mix together 2 cups of spinach leaves, 2 tablespoons of chopped walnuts or almonds, ¾ cups of cubed watermelon, and ½ cup of chopped dried apricots. Sprinkle raspberry vinaigrette on top and serve. #5 Spicy salsa can relieve headaches caused due to congestion of sinuses. Hot peppers also have the same effect on headaches. Spicy foods open up the nasal airways and decrease congestion. Thus, they decrease the pressure and provide relief from headaches. #6 Almonds have been found to be effective in relieving headaches, thanks to their rich stores of magnesium. This mineral relaxes blood vessels and reduces the severity of a headache. People who suffer from frequent migraines have also been found to get relief from a diet rich in magnesium. #7 Watermelons are not only a juicy treat but they help relieve headaches as well. The most common cause of headaches is dehydration. Watermelon contains natural water as well as essential minerals such as magnesium, both of which are effective headache-fighting ingredients. A watermelon smoothie recipe that you can try: Blend together 2 cups of watermelon pieces (with the seeds removed), 1 cup of cracked ice, ½ teaspoon of grated ginger, ½ cup of low-fat yoghurt, and a drizzle of honey. #8 Baked potatoes are a tasty side along with dinner and fight headaches too. Alcohol causes dehydration since it is a diuretic and it also leaches important minerals such as potassium from the body. Thus, potassium-rich foods such as baked potatoes within their skin are perfect to reduce headaches due to hangovers. #9 Bananas have a high magnesium content, which make them an ideal candidate to treat headaches. Consumption of bananas relaxes the blood vessels and eases a headache. They also have potassium which makes up for the lost electrolytes in the body after an evening of alcohol intake. #10 Whole-grain toast is another superfood that can keep headaches at bay. A lack of healthy carbohydrates in the diet can bring on headaches since the glycogen stores of the body get depleted and the brain does not receive adequate energy. Eating healthy carbohydrates release serotonin that elevates the mood.